Wrap bandages quickly and neatly. This plastic roller is a manually operated device for re-rolling bandages up to 4" (10cm) wide. The bandage is placed into the slot and draped over the tension bar and rolled. Using the free hand to guide and control tension, the bandage can be rolled up easily. The roller can be mounted with the bracket holder using screws. 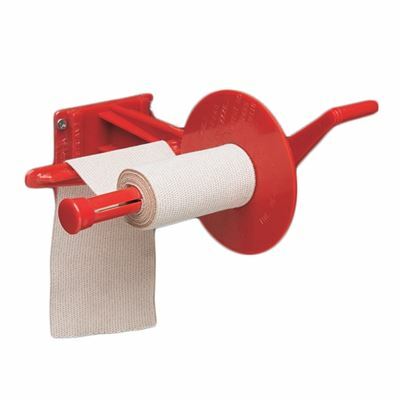 After use, the Bandage Roller can be taken out of the bracket holder and stored.